Are you a proud owner of a portable air conditioner, or are you looking to purchase a portable air conditioner and want to get the most from your purchase? 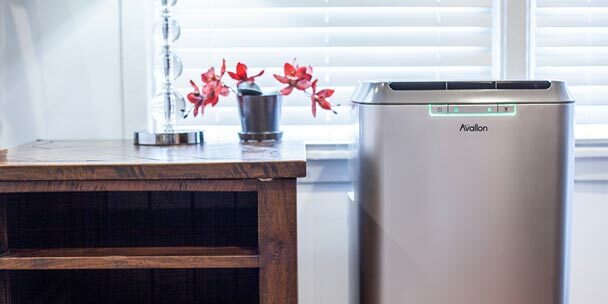 Here are 5 tips and tricks to maximize your portable air conditioner’s effectiveness and ensure you have a long and happy relationship together. Portable air conditioners are meant to cool a specified, enclosed space. The more you can close off the space, the better and more effective the unit will be. Try to close any doors or openings leading into the room you are trying to cool. In addition, try to eliminate as many heat sources within the room as possible, like lights and electronic equipment. 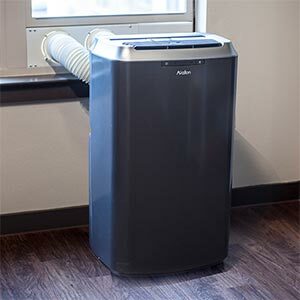 Many people feel they cannot use a portable air conditioner because they do not have a window in the room they are trying to cool. This is not a problem! 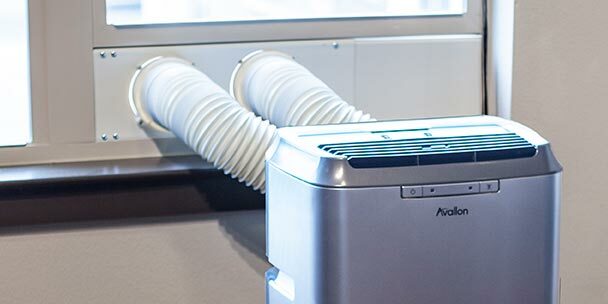 Though most portable air conditioners are designed to vent out of a window (most come with a handy, easy to install window kit), you can get creative when thinking of venting options. You can vent through the floor, ceiling, even a chimney. You can even vent into another room. The primary goal of venting is to get the hot air coming off the compressor out of the room you are trying to cool. As long as you can accomplish that, then you and your portable air conditioner will have a very happy life together. 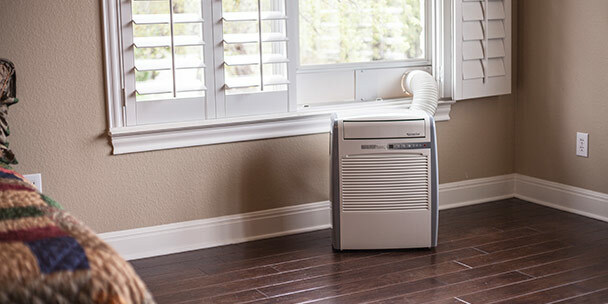 Many people think that they cannot use a portable air conditioner because they have a casement, or crank out, window. Don’t fret, this is easy to overcome. 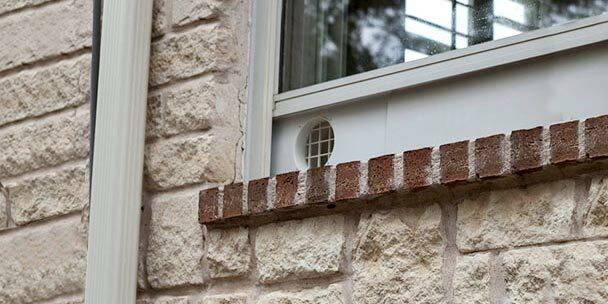 You simply need to get a piece of plexiglass cut to the size of your window, and attach it like a screen so that the window will still open (usually can be done with strong Velcro). In that piece of plexiglass, have a 5 inch hole cut near the bottom. Then you simply put the vent hose in the hole, and you are good to go. Plus, you do not lose the view from the window when you use the plexiglass! 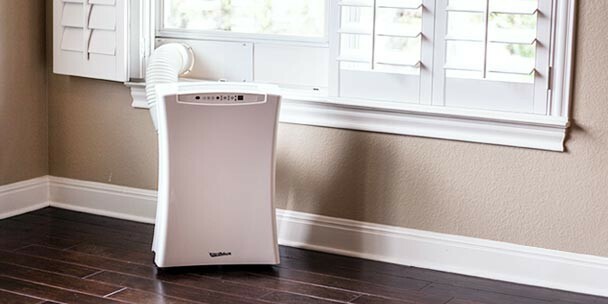 Though portable air conditioners come with a pre-filter, it is often best to use an additional filter. Many units offer a carbon filter as an accessory. There are also great anti-microbial filters available, as well as a unit that has a silver ion filter. You want to be sure to replace the filters about every 3 months, so buying a five pack of filters will not only last you over a year but it is also cheaper than buying them one at a time. The air conditioning in my apartment is very inefficient. I didn’t realize that they had portable units! With this type of a/c unit, how much electricity can I expect to pay? I’m a poor college student, and I need to find a solution fast due to summer. How may I remove particle matter from my indoor air?